Back in the winter of 2001 eager gamers stood in the cold overnight in anticipation of getting their hands on Microsoft’s first console, the Xbox. They took their new console home along with their selection of about a dozen launch titles. 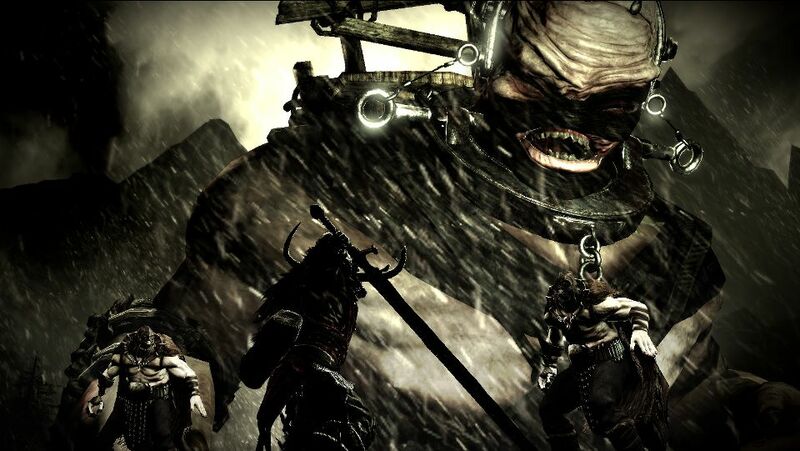 About a month later a second wave of games were released, among them was Stormfront Studios’ Blood Wake. It was an innovative title that focused on combat on the open waters. Like many titles from that time the plot had a certain amount of cheese factor, but somehow was still incredibly satisfying. But the real gem was the water physics, something ahead of its time. Funny thing is, without Blood Wake we wouldn’t have Hydro Thunder Hurricane. See, Stormfront housed the brains and brawn behind Vector Unit, Hurricane‘s developer. Ralf Knoesel and Matt Small both worked on Blood Wake as a programmer and artist, respectively. Knoesel designed the water simulation which became one of the building blocks for the system in Hurricane. These guys have a special place in their heart for this little gem, and there are a lot of good reasons why. Vectored Stormfront – Stormfront closed its doors in 2008, meaning any chance of the original developers working on the port is shot. Enter Vector Unit. These guys already have a similar engine, they both worked on the original, and they likely keep in contact with some of the original team, meaning it could be a “We’re getting the band back together” moment as they hire on some old friends as contractors to help with the work. Control system – Blood Wake‘s controls definitely take a bit of getting used to. 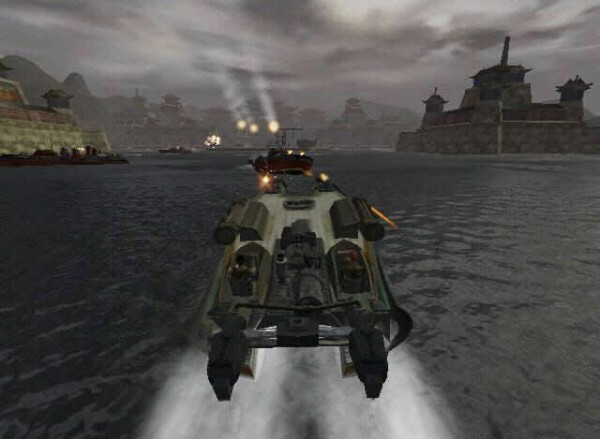 The left stick controls both the boat’s speed and turning, while the right stick controls weapons. While great in principle the psuedo-twin-stick shooter always felt just a tiny bit odd. Our advice? Adapt Hydro Thunder Hurricane‘s controls: use the triggers as gas and brake/reverse and find another way to adapt the guns. Engine – The circa 2001 physics still hold up, but who doesn’t want to see Vector Unit’s updated water simulation? It’s arguably one of the best on the market, and the visuals in Vector Unit’s engine are pretty impressive as well. It’s the perfect fit for a water-based combat game. Imagine carving into a corner and seeing that high-polygon wake follow behind. It’s a thing of beauty. Blood-ro Thunder DLC – It could be our sense of nostalgia, but given that Blood Wake is in some ways the grandfather of Hydro Thunder Hurricane we just can’t have this without some cross-game DLC. Let’s get put some guns on the racing boats, and let’s take the combat boats and put them in a racing competition. It’s a win-win for both games. Any fan of Hydro Thunder Hurricane will tell you they’d love more boats, and given Vector Unit’s roots it would only be fitting to have some DLC run the other way too. Spashdown soccer – One of the best parts of Blood Wake was a little known mode known as Blood Ball. 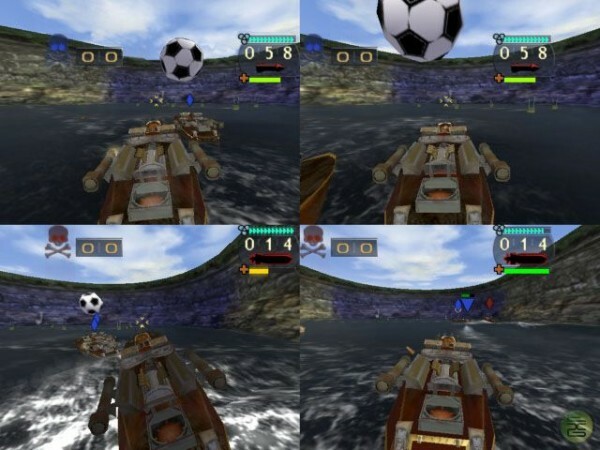 It was accessed via a cheat code and was, simply put, soccer (football outside of the US) with boats. It was awesome, and if we see this game come back Blood Ball needs to be out in the forefront. We could see this as something that gets added to the “party game” list. 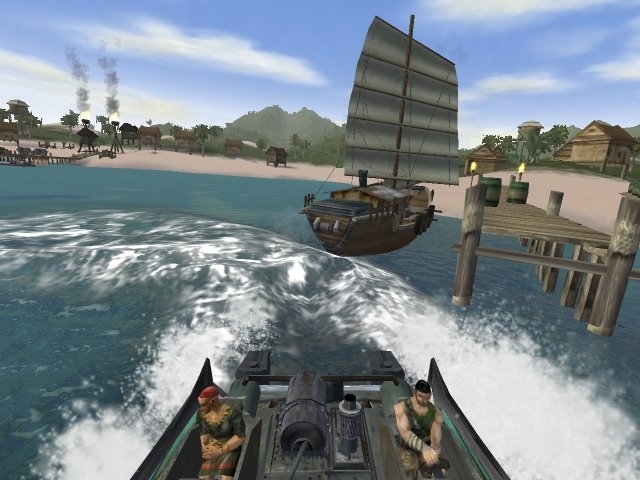 Who doesn’t want to get three friends and play some soccer in overgunned boats? Cheese – Yeah–we’re not sure whether it was intentional or not, but regardless Blood Wake‘s story comes off as very tongue-in-cheek. It works, too. It comes off as a 1970’s cult classic B-movie with the over-the-top dialogue and presentation. It’s classic, and it’s a perfect fit for Xbox Live Arcade. Ship-to-shore-to-ship combat – It’s not like there are a lot of boat combat games: we get that. Still, there was something about the combination of attacking shore-based enemies alongside enemy boats that was so empowering. It was like we were driving some super boat–all it needed was an AI that could talk to us and a transformation mode. Blood Wake is just a quality game. Quality games succeed no matter what era they’re from. It was one of the top sellers in its day, and given the love and care it deserves it could be one again. Everything about this game screams the quick pick-up-and-play action we’ve come to expect from XBLA. Additionally it was a Microsoft Game Studios product, so odds are this isn’t one of those games where the rights would be difficult to acquire. 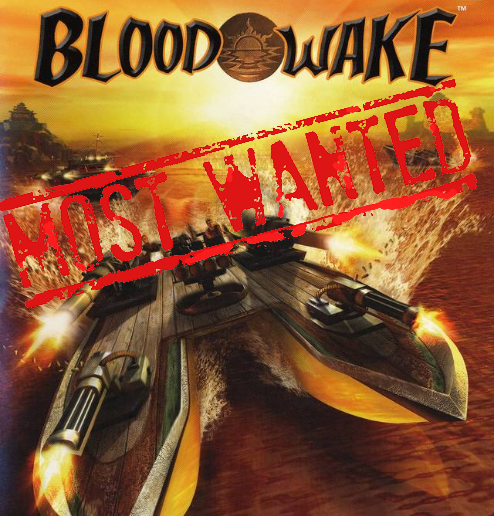 Since Blood Wake isn’t backwards compatible on the 360 an XBLA remake is our only hope to play it again. Hear our cries, oh publishing gods!